Ever wonder where that reprobate excuse for a doctor disappeared to after he amputated the wrong leg off your uncle? How about the doctor who 86d the appendix when he should have been looking over to the right at the gall bladder? Well, wonder no more. When doctors find themselves employment-challenged due to medical mistakes, they revert to the default setting– the vAMC. That’s right. You can have the worst medical record in the world, leave a trail of destruction in your wake and still find employment at the vA. The trick? Why, simply keep your license to practice in at least one state. Most doctors have a license to practice in multiple states so the loss in one is not financially life-threatening. The vA is more than willing to accept you if you are still legal in at least one of 50 states if it comes to that. How comforting to know that you’re getting the best medical care vA can purchase from substandard practitioners. I never checked the bona fides of the chowderheads that turned me into hamburger helper but perhaps I should have. One young, up and coming fellow named Brent S______ did the two surgeries (#1&#3)that disintegrated and caused me so much grief. I wonder if he moved here from Oklahoma? 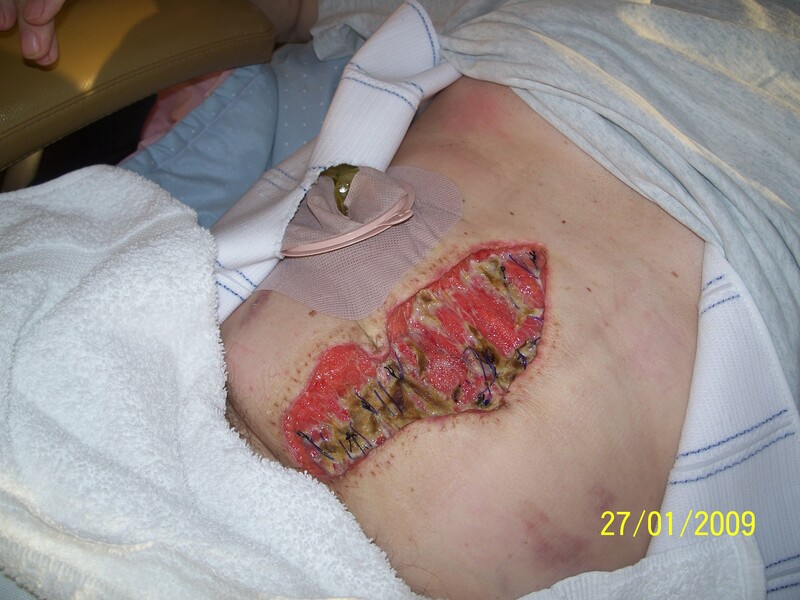 I will always wonder who made the call to implant the biggest piece of Alloderm they make to hold in my belly considering it was recalled 3 years before they used it. Doesn’t that stuff have a shelf life? Welcome to vAMC medical care. It’s the model used for the Affordable Health Care Act as far as I can see. And the next time you visit, check to see if they have installed more chairs in the waiting rooms as they did at American Lake VAMC. Dead Vets are Happy Vets, apparently. Good morning! On your post today, you forgot to mention that the VA employees have Blue Cross medical for themselves. They wouldn’t want to trust their health on some Dr with their degree from the Dominican Republic or Granada. 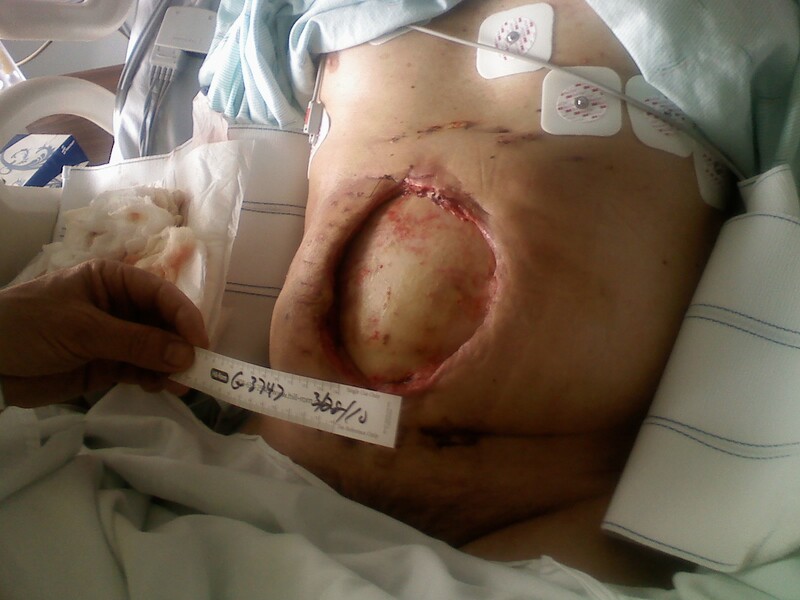 Notice the shiny new ileostomy bag? Free with every botched anastomosis only at vA. 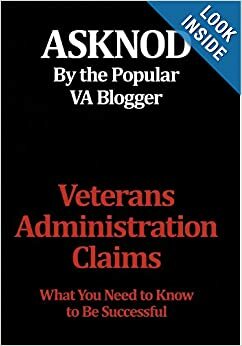 This entry was posted in All about Veterans, Medical News and tagged asknod.org, asknod@wordpress.com, HCV Health Tips, Helping Veterans, News from vA, VA claims, VA Medical Care, Veterans claims help, Vietnam Veterans Claims Help.. Bookmark the permalink. 4 Responses to WHERE HAVE ALL THE DOCTORS GONE? These terrible mistakes happen in all hospitals. I read a short book by a surgeon, Dr. Gawande, a while ago that addresses how to prevent many of them–the simple check list. Highly recommend anything he writes or his talks on YouTube etc…Here’s one from 2010. –Correction to my above post: Video is 4/12. NPR article is 2010. –Anyone needing to see a VA doc should be able to look up the provider’s education in the “Our Doctors” tab for each VA health center.’s website. VA specialists may also have private practices and private website. –VA health benefits are not insurance. Veterans eligible for them (VA benefits) is NOT find these benefits as a barrier for on getting state health insurance plans if one is eligible for them. Asset limits have been dropped in some cases; Income limits have been raised in some programs. Worth looking into because more choices = more control. benefit program. It’s a big scam. I’m a layperson interested in researching topics such as: “What is a safe injection?” and mass vaccination programs. Let me know if you think your readers would be interested! Reminds me of the movie outlander with Sean Connery. The good doctor there on the mining planet said: “Company doctors are one assignment ahead of a mal-practice suit”. 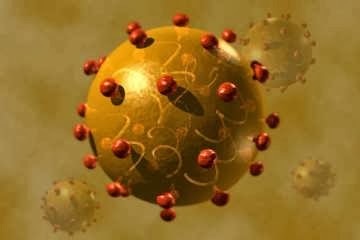 As of now I have never seen a hepatologist for my HCV. There are a handful in this city but the VAMC here needs to contract out so no dice. Never been able to see a rhuematologist here either, even though I have been SC for RA for over 20 years. They are blaming everything on the Hep which I am not SC for YET. Except oh wait, the hemachromatosis just sprang up on it’s own. Here the VARO is a building next to the MC and is part of the complex. Hickey stated the VHA and VBA aren’t married at the hip. Yet the ROs here are all over the VAMC like white on rice! It’s all about the money. In this town it’s all about “bargain basement” medical care and “bargain basement” law something akin to the Wallyworld syndrome. It’s the same thing that has happened in the HMO, PPO world. Pay the most for HealthCare insurance and get the lowest quality care. Do the the plan provider networks actually hire the most qualified doctors? Ask any good ambulance chasing attorney about mal-practice suits and you may be surprised with the answer. Of course there are exceptions to the rule. The problem with the Healthcare industry in general is that there are more exceptions than rules. The 60,000 dollar question is: Will Congress allow Veterans to get better healthcare from the VA than they can get from private health plans?